When it comes to pistol sight, the 3 dot sight is one of the most common configurations you could come across. 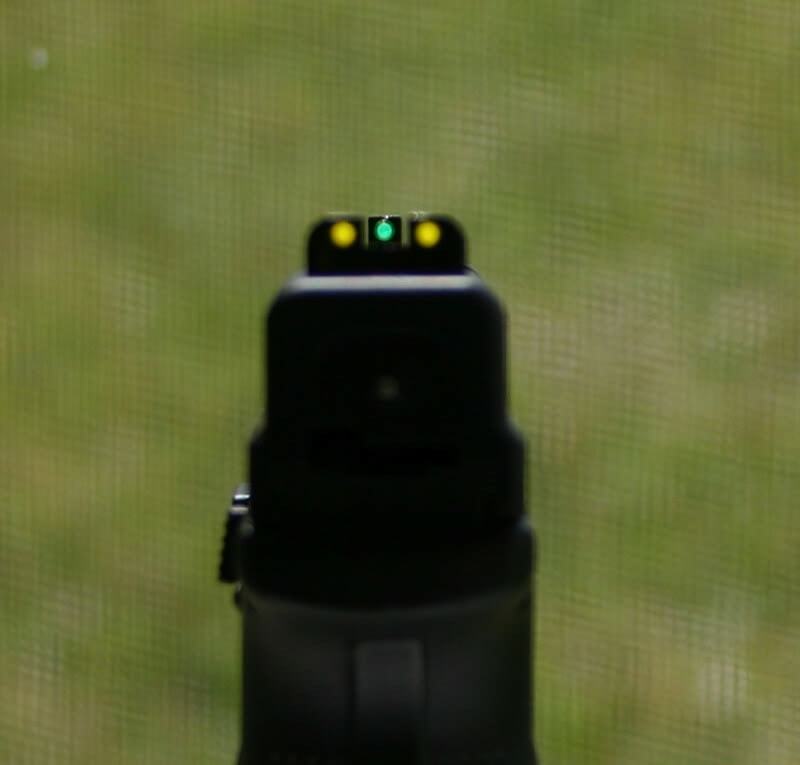 Several manufacturers even incorporate tritium inserts or fiber optics into their 3 dot sight so you could aim and shoot in low light environments. In general, shooting with a 3 dot sight is not exactly hard but it could take time to get used to it. If you never shoot before and want to learn how to aim a pistol with 3 dot sight, this article could help you with that. Here is a step by step explanation about the sight arrangement and the way you should use it in several different situations. In the usual case, the 3 dot sight is arranged in a simple manner with 2 dots on the rear section and 1 dot on the front section. The sight setup is often considered sufficient for basic requirements and it’s generally easy to use in most situations. Not all 3 dot sights on the market are similar though, each sight could possess unique dot size and alignment gap. As a result, it would take a lot of practice to become acquainted with a certain set of 3 dot sight. Adjustable models are also available if you want to adapt the sight to your own shooting style. Hold the gun with your dominant hand and wrap the exposed grip with your nondominant one as support. Stand firmly with your feet shoulder width apart and bent your knees a bit. Your arms should be mostly straight with a little bent at the elbows. At any given time, you have to remember to keep the gun away from your face. 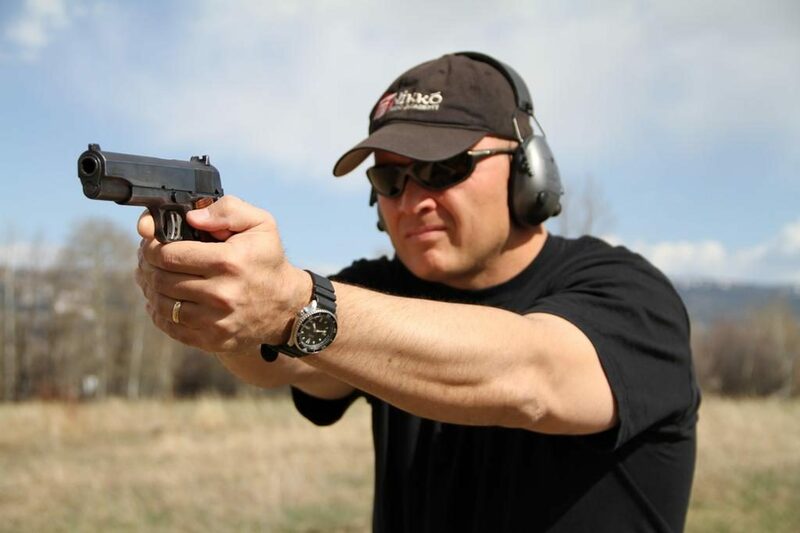 Once you fire, there is going to be recoil and this stance would keep your hand steady in most of the case. In order to shoot accurately, you must have a stable shooting position so don’t neglect your stance. You could theoretically shoot with both eyes open but that is a tricky technique and requires a lot of training. In fact, shooting with both eyes open is often classified as a defensive firearm skill so it’s not important in target shooting. Therefore, for most the time, it’s widely advised that you aim with your dominant eye and close your other eye. The dominant eye tends to offer a more accurate image of your proximity than the other eye which considerably enhances your shooting precision. In some cases, your dominant eye may line up with your dominant hand but it’s not always like that. If you can’t determine which eye of your is the dominant one, here is how you could find it. First, make a triangular using the forefingers and thumbs of your hands then hold it at arm’s length. Next, center the triangular on a distant object and look through it with both of your eyes. Finally, close your left eye and see what happen. If the object remains centered, you could conclude that your right eye is the dominant eye. On the other hand, if the object is no longer in the frame, you are left eye dominant. This test should help you find your dominant eye within seconds. To ensure consistent accuracy, you have to keep the dots on the front and rear section of the sight aligned. 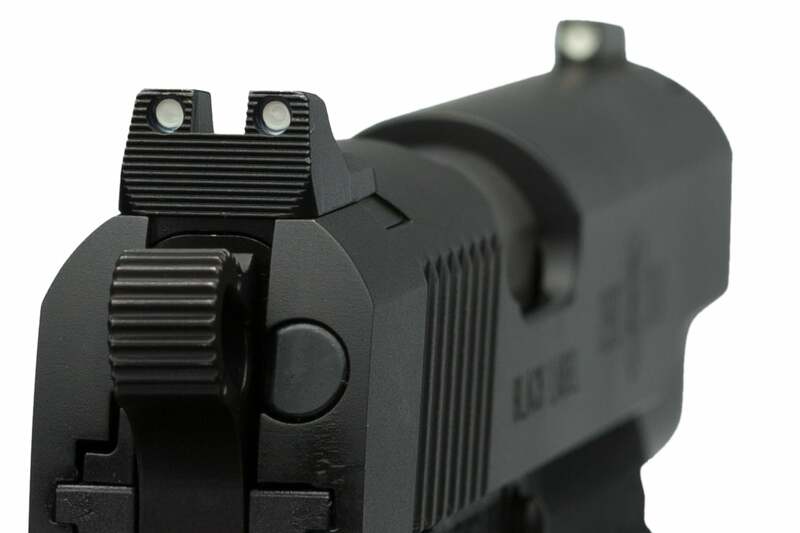 The gap between the front sight dot and the rear sights dots must be equal on either side. You also need to position the sights in a way that the tops of the rear sight posts are even with the front sight head. After that, you have to choose an object to focus on, there are 3 options in total: The target, the front sight and the rear sight. It’s impossible to focus on all of them at once so you have to make up your mind. For defensive shooting, you should focus your eye on the target, the sights could be slightly blurred and out of focus in this case. For target shooting, it’s recommended to focus on the front sight which may leave the target in a blurry state. As mentioned above, it’s not a bad idea to practice defensive shooting with both of your eyes open. 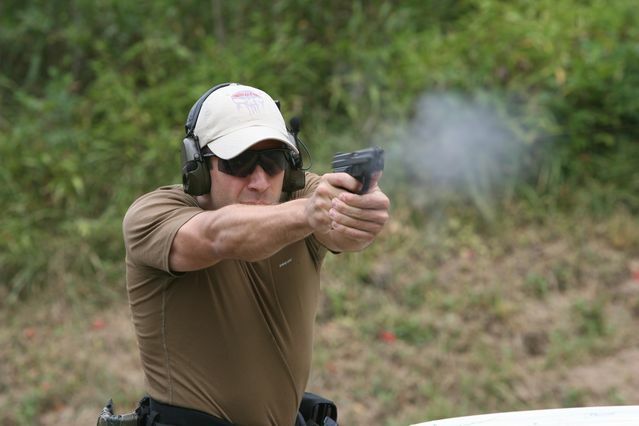 You only need to open your dominant eye while keeping the other eye closed in target shooting. When it comes to aiming points, there are several spots available so just pick one that suits you the most. After you picked your aiming point, all you have to do now is to shoot. Concentrate and instead of pull the trigger, squeeze it until the pistol fires. 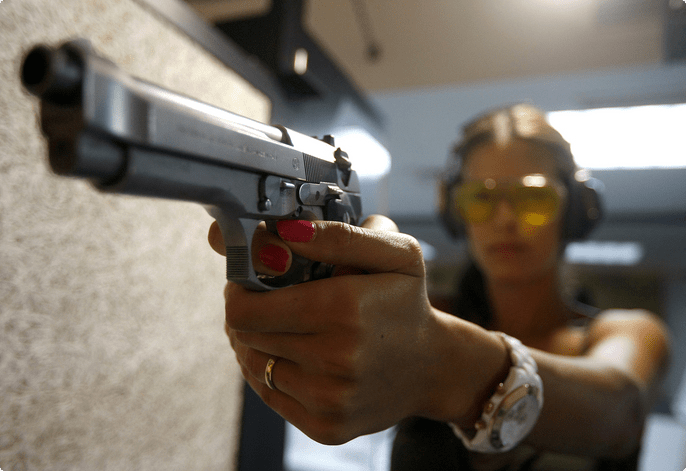 Only apply the pressure on the front of the trigger and don’t try to guess when the pistol will shoot. Doing so could cause last-minute aiming errors so just squeeze the trigger steadily while maintaining your aim. Important note: If you repeatedly fail to hit your intended mark, there is a good chance that your aligning is at fault here. For example, if your hits are below the center of the target, you may have placed the front sight head below the tops of the rear sight posts. Or if your hits are off to the right of the target, you may have placed the front sight too close to right post of the rear sight. And that is pretty much everything you should know about the sight and the way to use it, quite easy to understand, right? Knowing how to aim a pistol with 3 dot sight would let you shoot with precision in a variety of situation. With the help of this article, you should be able to master the technique in no time.